"While we may occasionally find ourselves jumping over spiky obstacles, dodging hammers, climbing ladders, and performing various other feats to bring about everlasting peace, we lack one significant advantage Mega Man had. Mega Man was a robot. He didn't have to eat. WE DO!! 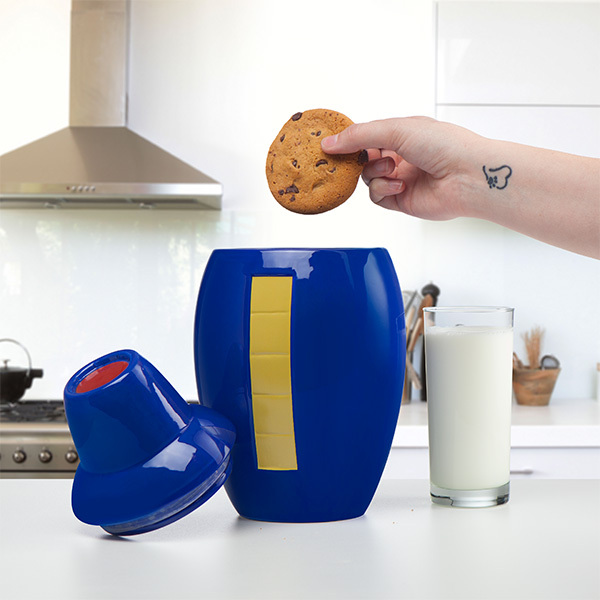 That's why we made the Mega Man Cookie Jar. Fighting Dr. Wily's violent robot threats takes energy, and lots of it. We need a convenient, easily-recognizable place to store compact energy delivery systems so we'll have enough power to support and protect mankind's existence. likeyado." The Mega Man cookie jar will set you back $34.99 (cookies and milk sold separately). Hey, it's a great gift for the holidays! Grab it here. It wasn't enough that they killed Mega Man. Now they're selling his urn. "Jimmy, did you knock over and break the cookie jar?" "Because I just wanted to say...Thanks! I was wondering what was off about it before, but now it perfectly represents the franchise it's based off." Ohhhhhh, supremacy burn from Majin's Eye! "Time and again I ask myself, 'what weird Mega Man thing will they come up with next?'" Coming up next: Hot Topic's ultra-rare limited edition collectible "Available to only the first 25 people who order" Mega Man-themed VIDEO GAME. This official merchandise is getting ridiculous. Remember the Megaman seat belts? Capcom is'nt making thoses, just giving agreement to allow thoses to be made by wathever buisness want to produce megaman merch and ask them for it. (aside from stuff like the anniversary merch). Game and merch are two vastly different things and not having merch is'nt going to bring more game. It honestly did'nt look THAT bad, but i don't think i'll get it. $35 is too much since i don't have any real use to make of this pot. That logic is stupid people thought the Mega Man games were ultra profitable because of the rate they were being released when in actuality they sold like crap 80% of the time. I genuinely feel bad for anyone who buys this stuff. Why not Eddie? Missed opportunity, Capcom. Because they have these 3D models of the buster and helmet that they can easily and cost-effectively re-purpose for stuff like this. 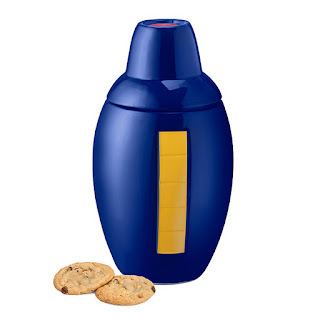 Much better would have been an E-tank cookie jar.. just like MegaMan gets his energy from it, we would store our energetic cookies in our E- Tank!